Who at some point hasn’t admired those renaissance men? Leonardo da Vinci, Michelangelo, Shakespeare, and Christopher (Kit) Marlowe? Their work is incorporated into our lives all the time. From da Vinci's invention of the scissors and the design for the first parachute to Shakespeare's plays being reworked into The Lion King and 10 Things I Hate About You. It's easy to find the renaissance fascinating. Even the clothing is attractive. (As long as we can't smell it!) 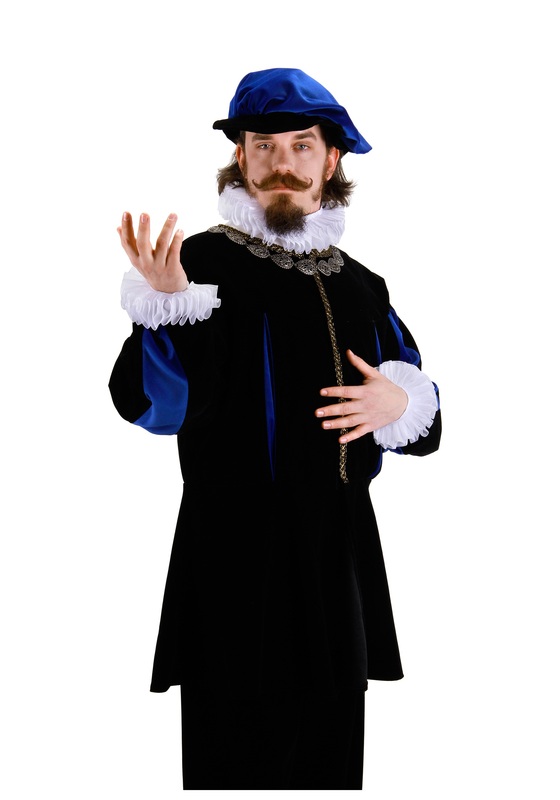 The large poofy sleeves, leather jerkins, thick breeches, and the detachable collar and cuffs that complete the outfit! You are sure to make a splash at a Shakespearean play or Halloween party when you wear this Renaissance Collar and Cuff Set. We suggest growing a curly mustache and beard to round out the look!